Ubuntu 19.04 is scheduled to arrive in another 30 days has been released. I've been using it for the past week or so, and even as a pre-beta, the OS is pretty stable and not buggy at all. 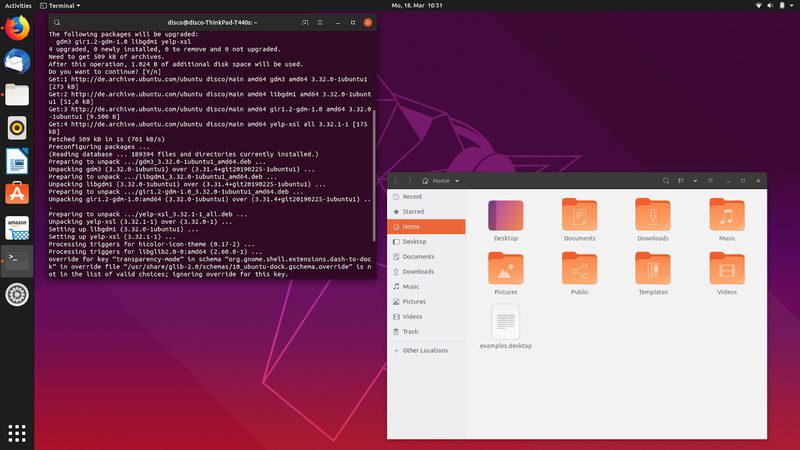 Here are a bunch of things you should know about the yet to be officially released Ubuntu 19.04. How about that! As most of you know already, Canonical names its semiannual Ubuntu releases using an adjective and an animal with the same first letter (Intrepid Ibex, Feisty Fawn, or Maverick Meerkat, for example, were some of my favourites). And the upcoming Ubuntu 19.04 is codenamed "Disco Dingo", has to be one of the coolest codenames ever for an OS. A new cleaner, crisper looking Ubuntu is coming your way. Can you notice the subtle changes to the default Ubuntu theme in screenshot below? Like the new deep-black top panel and launcher? Very tastefully done. To be sure, this is now looking more and more like vanilla GNOME and less like Unity, which is not a bad thing. There are changes to the icons too. That hideous blue Trash icon is gone. Others include a new Update Manager icon, Ubuntu Software Center icon and Settings Icon. GIFs speaks louder that words. Meet the official "Disco Dingo" mascot. Pretty awesome, right? 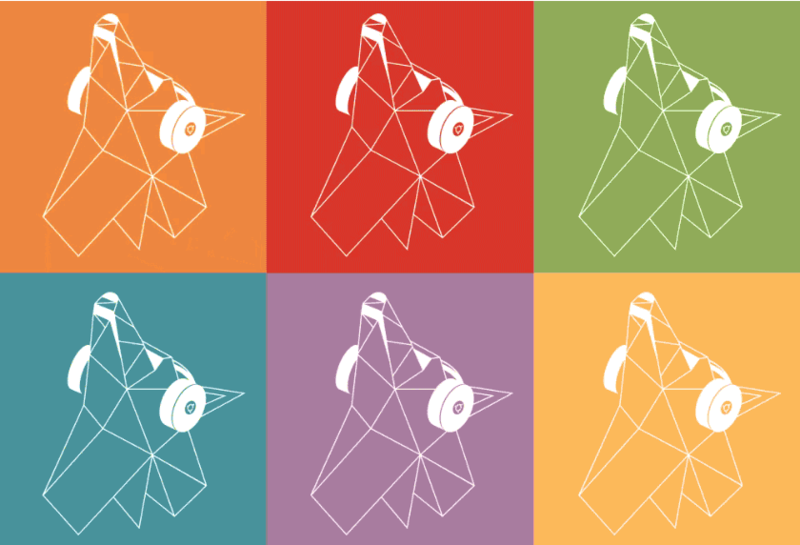 "Disco Dingo" mascot calls for infinite wallpaper variations. 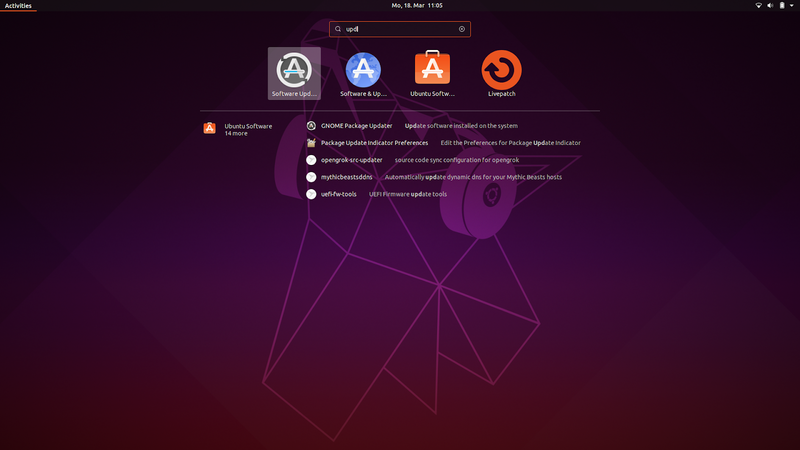 The new "Disco Dingo" themed wallpaper is so sweet: very Ubuntu-ish yet unique. A gray scale version of the same wallpaper is a system default too. UPDATE: There's a entire suit of newer and better wallpapers on Ubuntu 19.04! 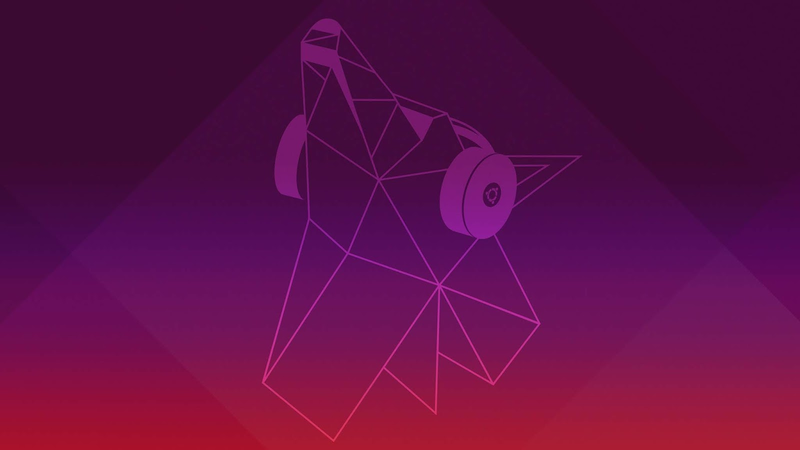 Ubuntu 19.04 "Disco Dingo" will officially support the recently released Linux Kernel version 5.0. Among other things, Linux Kernel 5.0 comes with AMD FreeSync display support which is awesome news to users of high-end AMD Radeon graphics cards. Also important to note is the added support for Adiantum Data Encryption and Raspberry Pi touchscreens. Apart from that, Kernel 5.0 has regular CPU performance improvements and improved hardware support. Ubuntu 19.04's 'Software and Updates' app has a new default tab called Livepatch. This new feature should ideally help you to apply critical kernel patches without rebooting. Livepatch may not mean much to a normal user who regularly powerdowns his or her computer, but can be very useful for enterprise users where any downtime is simply not acceptable. 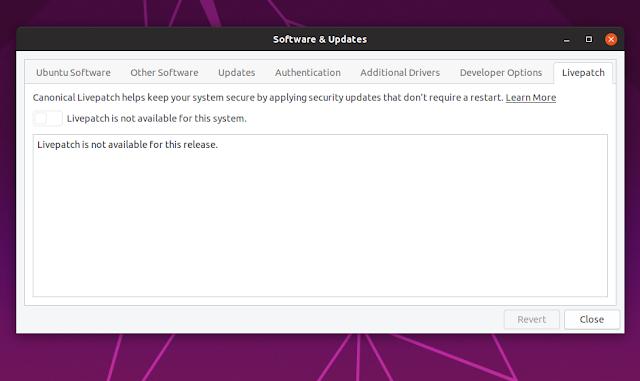 Canonical introduced this feature in Ubuntu 18.04 LTS, but was later removed when Ubuntu 18.10 was released. The Livepatch feature is disabled on my Ubuntu 19.04 installation though, with a "Livepatch is not available for this system" warning. Not exactly sure what that means. Will update. The beta freeze is scheduled to happen on March 28th and final release on April 18th. 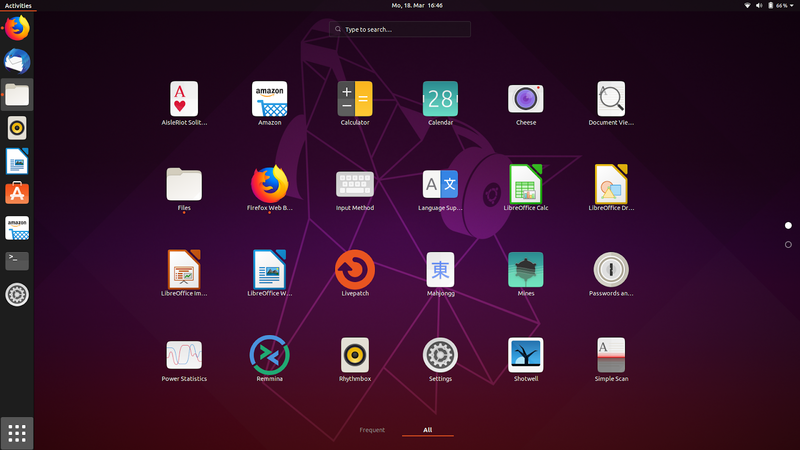 Normally, post the beta release, it is a safe to install Ubuntu 19.04 for normal everyday use in my opinion, but ONLY if you are inclined to give it a spin before everyone else of course. I'd never recommend a pre-release OS on production machines. Ubuntu 19.04 Daily Build Download. My biggest disappointment though is the supposed Ubuntu Software Center revamp which is now confirmed to not make it to this release. 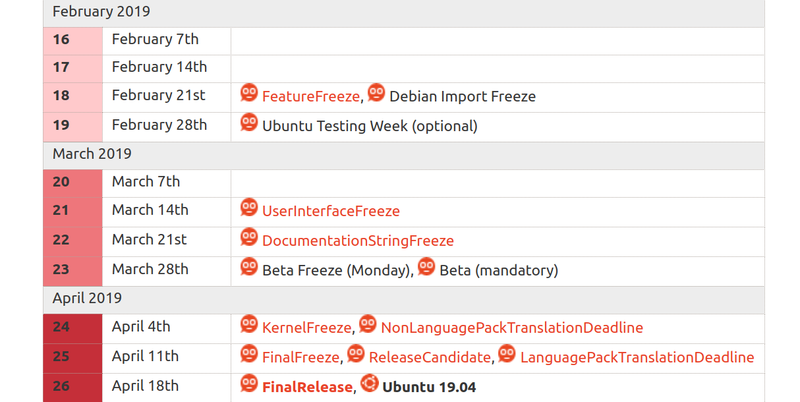 Subscribe us on Twitter and Facebook for more Ubuntu 19.04 release updates.